Chance of cure in advanced cancer: what do older patients believe and how are these beliefs related to their preferences? Dr. Loh graciously shared with us a summary of her study. Despite treatment advances in many cancers, stage 4 or metastatic cancers (with the exception of a few) remain incurable. Existing treatments aim to prolong life in this setting but will never be able to take the cancer away and have it never return. Many older adults have other medical problems, are on many medications, and have limitations in daily activities. Therefore, it is important that older adults have a good understanding of their cancer and the goals of treatment when making decisions. We know that many older adults would prefer to maintain their ability to perform daily activities at home, their ability to think, and their quality of life rather than simply living longer. In this study that we presented at the American Society of Clinical Oncology (ASCO) Palliative and Supportive Care in Oncology, we estimated how many older patients were absolutely certain that their advanced cancer could be cured. We were also interested in the relationship between their trade-off preferences and beliefs about the chance of cure. This was a sub-study of a larger study that looked at whether or not a comprehensive assessment of health in a wide variety of domains would improve communication (Principal Investigator: Supriya Mohile). The domains that were assessed included their functionality, memory and thinking, health status, medications, nutritional status, psychological health, and social support. The study included patients aged ≥70 years with incurable cancer who were considering or receiving any kind of cancer treatment and had an impairment in one of the domains. We asked patients about their beliefs about the chance of cure using the following question: “What do you believe are the chances that your cancer will go away and never come back with treatment? Options were: 100%, >50%, 50/50, <50%, 0%, or uncertain. The breakdown is shown below; 5.3% of older patients believed with 100% certainty that their advanced cancer will be cured. We then presented the patients the following statement: “Maintaining my QoL is more important to me than living longer”; 73% agreed, 19% were neutral, and 8% disagreed. What we found was that those who disagreed with this statement were more likely to believe that there was a 100% chance that their cancer will be cured. Based on this, we think that in order to help older patients with advanced cancer understand their prognosis, it is important that physicians ask about their preferences, values, emotions, and fears. You can review the abstract from ASCO 2018 here: https://meetinglibrary.asco.org/record/167043/abstract. We invite you to ask questions and comment in our community forums! Dr. Melissa (Kah Poh) Loh is originally from Malaysia. She is currently a senior fellow in geriatric hematology/oncology at the University of Rochester/Strong Memorial Hospital in the USA. 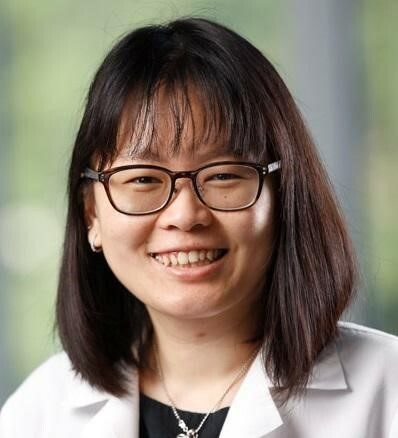 She will join the malignant hematology and geriatric oncology groups as a faculty at the University of Rochester in 2019. Dr. Loh’s primary interest is the development and evaluation of mobile health behavioral and supportive care interventions for older adults with cancer.